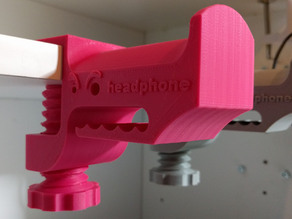 Originally I had printed a headphone stand for my desk...until I printed the 30mm one for a coworker. I realized I needed one as well. I printed both in Black Hatchbox PLA and one screw in black and the other in silver.